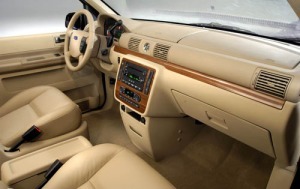 Includes AM/FM radio, in-dash 6-disc changer and clock. Includes perimeter anti-theft alarm, adjustable pedals, heated signal mirrors with puddle lamps and message center. 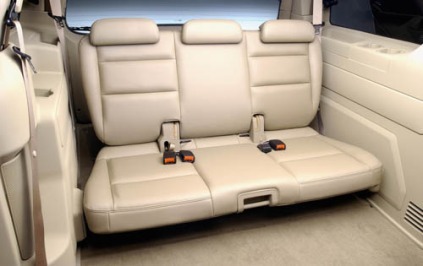 Includes driver, passenger and 2nd-row leather seats, vinyl 3rd-row seats and 6-way power adjustable passenger seat. Includes panic brake assist, traction control with AdvanceTrac and reverse-sensing system. Includes 6-way power adjustable bucket seat. Includes driver and passenger side power sliding doors.